What will $400,000 get you? Sales are up 35 percent since the bottom of the market in September 2009, according to the Multiple Listing Service of the Durango Area Association of Realtors. Home prices are recovering somewhat. The median price for a Durango house in 2011 was up 5 percent over 2010, $359,000 compared to $342,000, but still significantly down from 2008, when the median price was $394,900. But say you are looking to spend $400,000. What exactly will that buy? As you might expect, the answer to that is a matter of location, location, location. 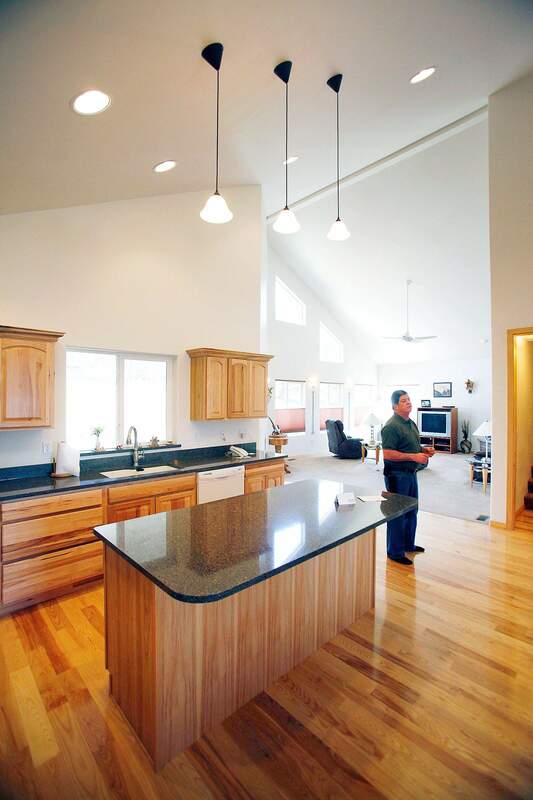 Residents of this Hesperus ranch live comfortably with a wood-burning stove and amenities such as a putting green. The ranch house is 2,120 square feet with hardwood floors, three bedrooms and three baths. Owners of the ranch hosted big barbecues for the Hesperus community, but the owner acknowledged that social isolation is the way of life. Its definitely not for everybody. said the owner, who asked not to identified for privacy reasons. Because her husband died, the widow wanted to be closer to adult children, so she originally put the property on the market for $399,900. So far, the seller has only found a buyer to purchase a 13-acre section containing the house and barn for $285,000. The other 40 acres are still on the market for $109,900, said Thad Trujillo, the real estate agent. The nonresidential section had protected the owners views of the mountains. The prospective owners wanted the land but didnt have the funds, the seller said. 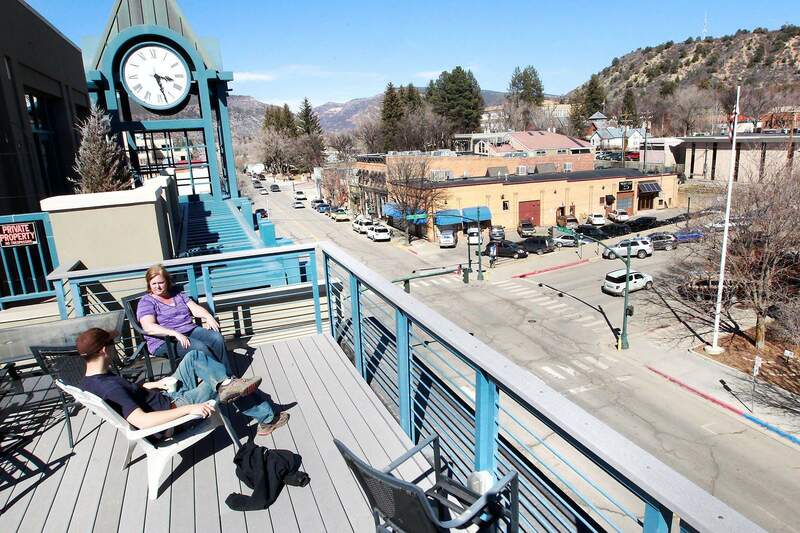 For the same price, a prospective buyer could own a 1,444-square-foot condominium in the heart of downtown Durango. This locale in the Durango Crossroads building at the intersection of 11th Street and Main Avenue is high-end; the median price for a condo in Durango is $246,750. Four years ago, the property was a parking lot. Christina Rinderle, mayor of Durango and a real estate agent for The Wells Group, is proud of it as an example of urban infill, a revitalized space in a developed area. The Crossroads is a hybrid of commercial and residential. The first three floors have a coffee shop, law offices, a bank and an Ayurvedic counseling center, a traditional form of Indian medicine. For condominium dwellers who live in the 12 residential units on the fourth floor, their walk to work might literally be down the staircase. Crossroads residents need not worry about parking because there is an underground garage. Acoustic engineering minimizes urban noise, Rinderle said. The condo unit on the market has two bedrooms, two baths, a kitchen bar and living room. From the kitchen bar, there are views of the valley, but a resident also can walk to the rooftop to barbecue and get a birds-eye view of downtown. Families might be discouraged because there are no yards for children to play, but one parent likes the Crossroads because she can put her child on the trolley for a free ride to the parks, the library and Durango Community Recreation Center, Rinderle said. One nondriver walks from Crossroads to City Market for her groceries. Newcomers to La Plata County used to a big house and yard are likely to find more home for their buck in Bayfield. Compared with other places, Bayfield is cheaper than Dallas, but more expensive than Midland, Texas, said real estate agent John Zwisler. For many families, the schools are the big draw, Zwisler said. Unlike Durango, there are no movie theaters, clothing stores or sushi bars. The supermarket is simply called The Grocery Store. The commute to work is typically 25 minutes to downtown Durango. But the real estate dollar also goes farther here. The Bayfield market has been slower than Durango and other parts of La Plata to recover from the slump. The median price for an in-town Bayfield house was $223,500 in 2011, which compares with $309,000 for 2008. A hilltop home at 613 Dove Ranch Road is currently for sale for $339,600, which is much less than the owners have invested in the property, Zwisler said. It cost tens of thousands more to build this house in 2007 than its on the market for, Zwisler said. It comes with all kinds of amenities, such as an air cleaner that electrostatically pulls particles out of the air. If you have allergies, it is definitely an upgrade, Zwisler said. The house also has vaulted ceilings, hardwood floors, a gas fireplace and a modern kitchen with granite countertops that adjoins the family room. At 2,905 square feet, there are four bedrooms, two bathrooms, a laundry room and a two-car garage. The master bath has his-and-her sinks and a spacious walk-in shower. This Hesperus property, including about 45 acres, a 2,120-sqaure-foot house and a barn, was originally listed for $399,900. The seller has a buyer for the structures and 13 acres but is looking to sell the remaining acreage separately. John Zwisler, a real estate agent with The Wells Group discusses the Bayfield real estate market from within a home for sale on Dove Rach Road in Bayfield. The home is listed for $339,600. The view from this balcony at the Crossroads Building on Main Avenue doesnt come cheap. A 1,444-square-foot condominium here with two bedrooms, two baths, a kitchen bar and living room is selling for about $400,000. While the money wont get you a yard, it will put you within walking distance of many Durango hot spots.